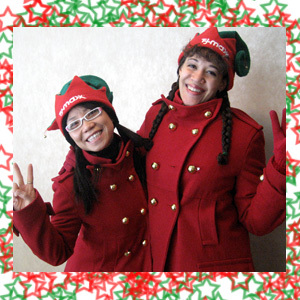 Seasons Greetings from TJ Maxx Elves! 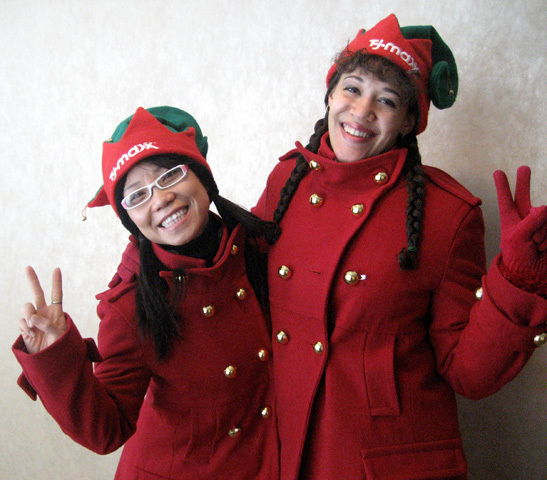 Julie Pham and Rydia prance through the streets of Boston in little red jackets, candy cane tights, and cute black boots spreading songs, joy, candy canes, and delightfully delicious lip gloss! Where will they be going next? 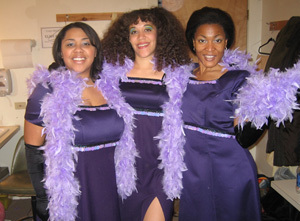 Rachel, Rydia, and Mitzi singing "White Boys" in Hair at Jamaica Plain's Footlight Club. 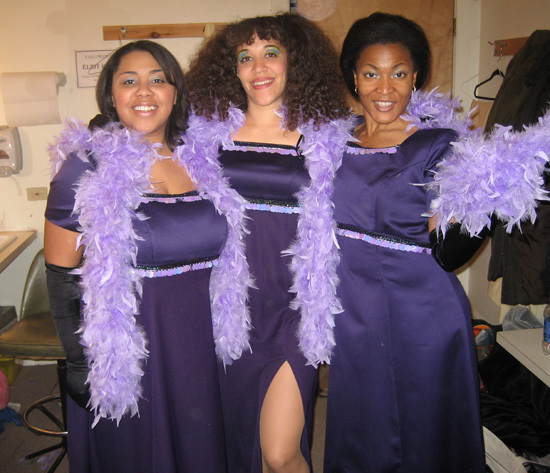 Lauren Hall & Rydia as "Helga" and "Kat" in the classic musical Cabaret. Performed in Cambridge with Metro Stage Company. The dancing was so spectacular it won an IRNE for Best Choreography! Congratulations to Linda Sughrue. Yes, you heard right. 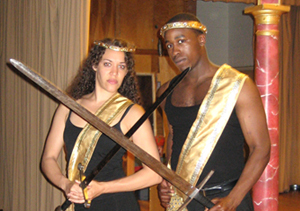 Rydia is playing "Titania" and "Hippolyta" in A Midsummer Night's Dream for the fourth time, second time directed by Spiro Veloudous with Shakespeare NOW! (For those keeping track, this is time number five in the play; however, her first and favorite role was playing the mischievous Puck). 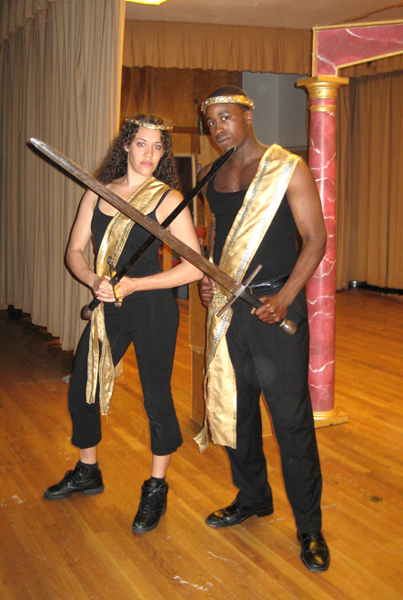 Right, she crosses swords with the dreamy Jason Bowen.